Bow ties are cool. With everyone from Doctor Who to James Bond sporting a bow tie at some point, their popularity has done anything but die down over the years. Being an essential under the black tie dress code and symbolising sophistication alongside a dapper sense of style, they are a crucial addition to every modern man’s wardrobe. 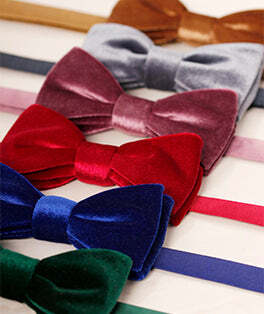 Bow ties are interchangeable and with such an extensive range available, they are something you can have fun with. A real express yourself piece and as they have a small surface area you can afford to go bold with the design to really make a statement. There will always be people who see them as strictly formal attire but that doesn’t have to be the case. A range of different styles, colours, and themes, mean you can find a bow tie for every occasion. If you find it difficult to tie your bow tie then there is an equally extensive range in clip-on bow ties.